Parents with older children may be thinking about driving lessons for their teenager. My seventeen year old has been having lessons since her birthday in the summer, and the cost is frankly, eye-watering. There’s no way way around it, driving lessons are a serious investment in terms of cost and time, so how can you be sure you are getting a good deal for your money? We learned the hard way that there are both good and not-so-good instructors out there. So, from experience, here are a few things to think about when choosing a driving instructor for your child: 1.Personal recommendations for driving schools and instructors are always best, so ask around friends and family first. 2. 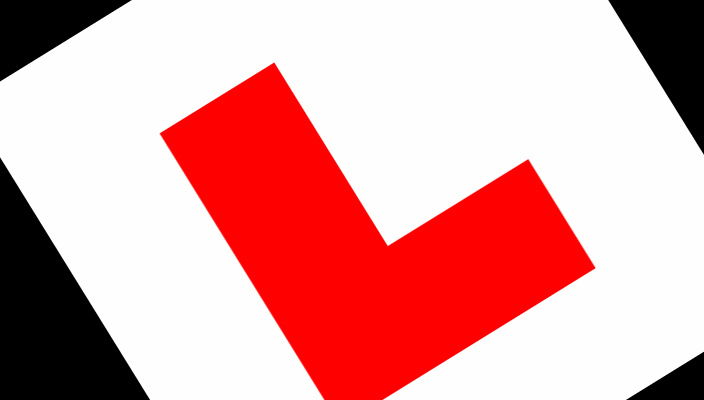 Qualified driving instructors are approved by the Driving Standards Agency (DSA). Once they have completed their training, they become an Approved Driving Instructor (ADI). 3. Qualified instructors display a green hexagonal badge in the corner of their windscreen. Pink triangular badges show that an instructor is undergoing training, but they are allowed to charge you for lessons. They should not be charging the same amount as a fully qualified instructor and will not be as experienced. 4. Currently,the DSA is working to improve the standard of driving instructors by introducing a grades system for ADIs with Grade 6 indicating a very high standard. 5. All ADIs should be CRB checked to ensure they don’t have a criminal record. 6. It’s a good idea to call around a few instructors or driving schools before committing your money. Compare prices, discount packages, safety checks and pass rates to see who you feel most comfortable with. 7. It is perfectly acceptable to ask the instructor how many of their pupils pass first or second time. 8. A good instructor will be able to supply detailed lesson plans for your child, with a clear schedule for development of skills and awareness, based on the DSA syllabus. 9. The quality of driving instructor varies hugely. An instructor who has your child driving around the same route every lesson is probably not offering the best quality teaching. Communicate with your child and find out what they’ve covered in each session. 10. Likewise, instructors who use lesson time to run personal errands may not be working with your child’s best interests at heart. 11. Instructors should be punctual and arrive in a clean well-maintained car. 12. Any sexist or racist comments or inferences from instructors are completely inappropriate and should be reported to the driving school. 13. Find out if the instructor is local and whether they know the area and the nearest test centre routes. 14. Make sure the instructor offers a dual control car. 15. Find out how long the instructor has been teaching learners. 16. Check their cancellation policy 17. Find out how long the lessons are (usually 2 hours) and whether their availability is a good match for yours. 18. Agree a plan from the outset. Are your expectations realistic? 19. English may not be your first language so you can ask the driving school if they have instructors who speak your language. 20. You can ask for a male or female instructor if you are more comfortable with one or the other.